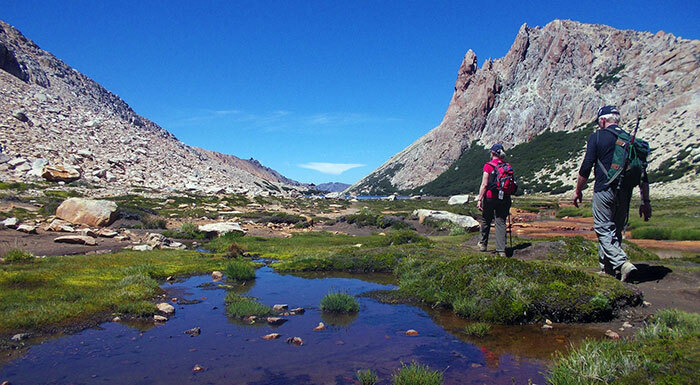 Welcome to the classic mountain traverse in Bariloche. 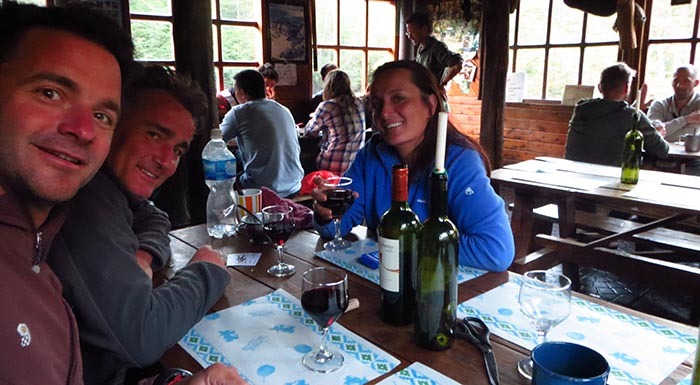 It is a perfect 3-4 day outing enjoying the unique Mountain Huts system Nahuel Huapi Park has. The trek begins at the parking lot of the ski resort where you will find the trail-head to Frey Hut. Heading South-West the trail contouring across the mountain slopes above Gutierrez lake. For the first hour the trail is smooth and easy. Then it continues heading North-West entering Van Titter creek valley. You will enter an old native forest where the trail follows the creek. After another hour and a half you will arrive at “Piedritas” bivouac. This place marks that you are an hour away from todays destination. This last leg of the trek is the most challenging one since you will be gaining a good amount of elevation. 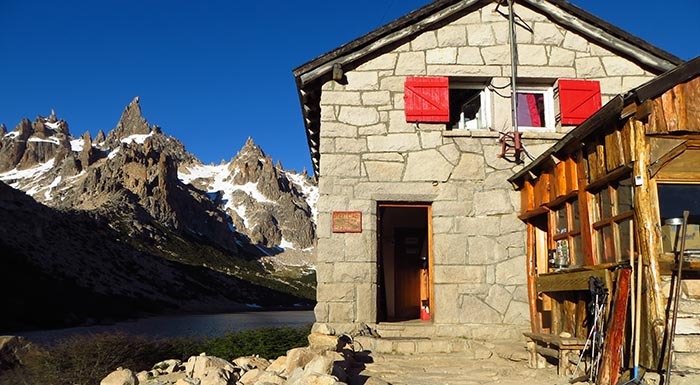 Frey mountain hut is located at 1700 meter of elevation sitting on a beautiful alpine valley just besides Toncek lagoon. Meals are served in the hut. Enjoy the rest of the day with the views of the vertical granite spires. 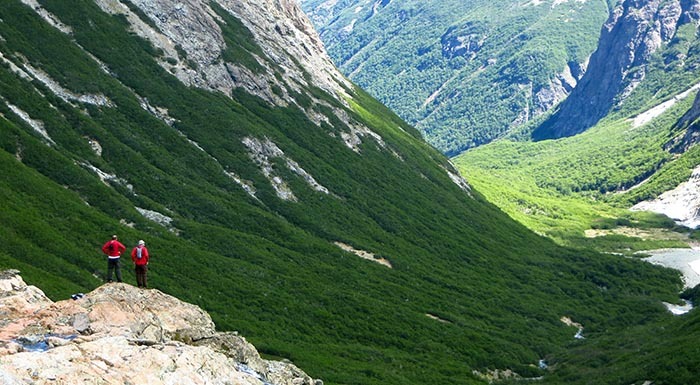 Frey valley has some of the best rock climbing in South America. Overnight at the hut in bunk beds. After breakfast, slowly begin the trek towards the ridgeline heading North-west. First climb up to Schmoll lagoon and from this point continue climbing to the skyline from where you will enjoy an amazing view of the hole mountain range and lake district. The trail continues West descending into Rucaco Valley through a loose talus field. Then follow up Rucaco valley, a wide beautiful landscape with open meadows and a clear creek running through it. 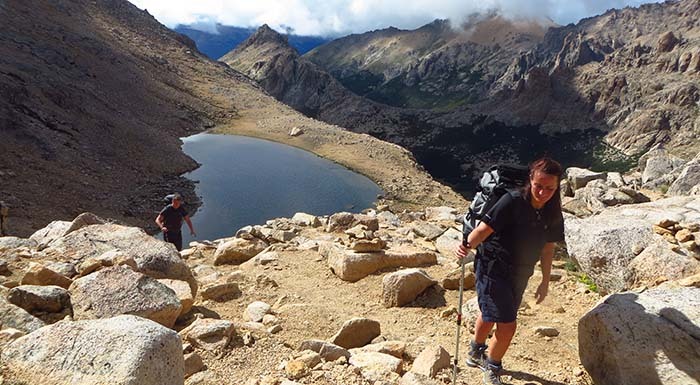 Climb to the ridgeline between Constructores and Tres Reyes peaks. 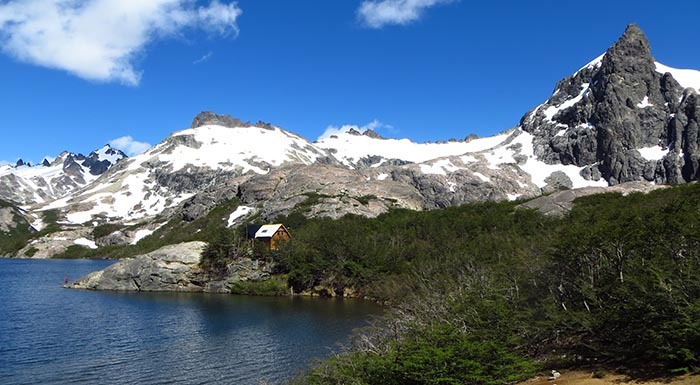 Once you reach this high point you will get a beautiful view of Jakob Lagoon and San Martin mountain hut. The descend takes one more hour of hiking till the hut. The terrain is quite loose so attention. Once at the hut you will be offered a hot tea and enjoy the peacefulness of this colorful alpine valley. Meals will be offered at the hut. Overnight in bunk beds. The next morning, you can explore the valley and hike up to Tempanos Lagoon, a hidden alpine lagoon with its vertical cliffs surrounding it. 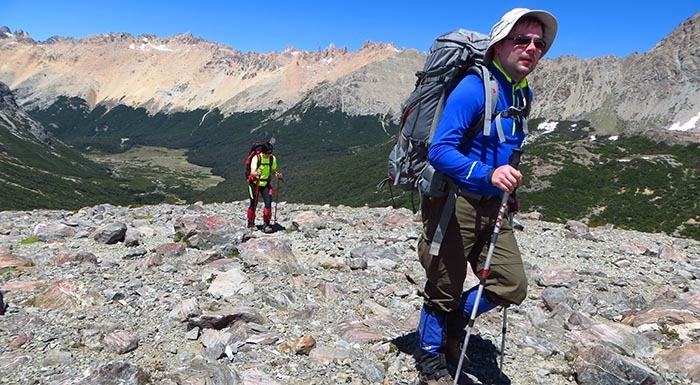 By mid-day start the trek down Casa de Piedra river valley, following a well marked trail. 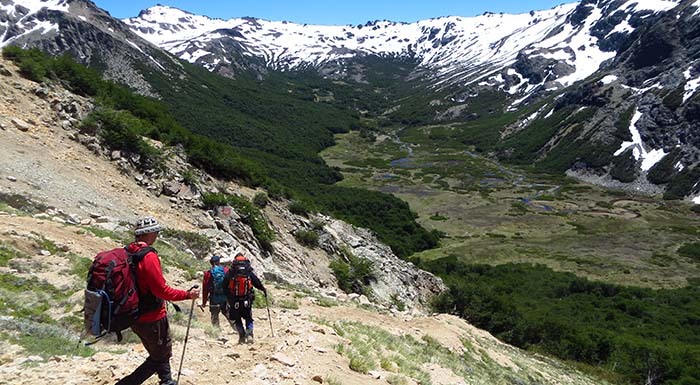 The descend is steeper during the first hour hike and then it mellows out following the river bed towards Bariloche. Optional: Extend this traverse two more days by linking it to Laguna Negra Hut descending though Cerro Lopez mountain. This two extra days are more challenging than the first three but the views and landscape is well worth it!